Lace garments and accessories have long been a symbol of class and elegance. The way to wash lace depends on a few different factors, but the age of the lace is extremely important to consider. Lace that has been made relatively recently in factories, within the last 40 to 50 years, can be washed safely in the washing machine. Using a mild detergent, wash the lace on a gentle wash cycle. To effectively dry the garment without ruining it, place the lace flat out on a towel and allow it to air dry. DO NOT place the article in the dryer, even on the lightest cycle. It could cause irreversible damage. 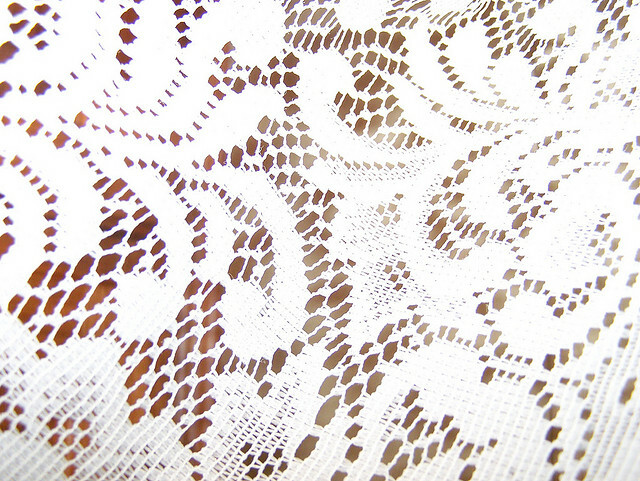 Place an object on top of the lace that covers it in its entirety to make sure the ends do not curl as it dries. Older lace must be washed by hand in order to maintain its shape and to preserve its state. Place a small amount of non-detergent cleaner into a container of lukewarm water. Insert the lace and allow the piece to soak for about 45 minutes. Then, delicately, rinse the piece under water until the water begins to run clear. This can sometimes take between 20 and 30 minutes to do. Proceed to dry the lace as you would when machine washing; lay it flat on a dry towel and place an object over it, covering it completely, to avoid curling. Lace is a timeless material and classic look that can easily be preserved through the use of these delicate washing methods.